The OMCO corporate facility houses the executive, sales, engineering, financial and administrative departments for the OMCO group of companies. Located in Wickliffe, Ohio, it is twelve miles from downtown Cleveland. 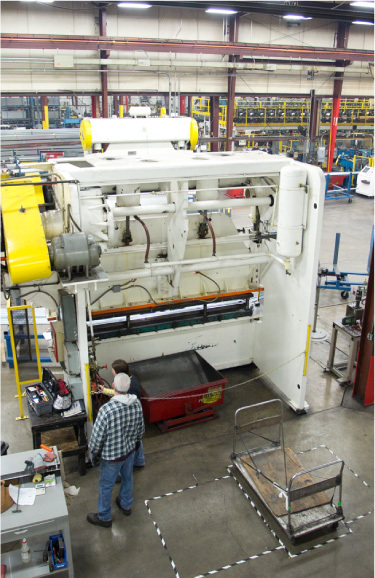 Our Indiana facility was constructed in 1988 and offers a full array of roll forming capabilities as well as secondary operations. It is located in Pierceton, Indiana, which is 28 miles from Fort Wayne. 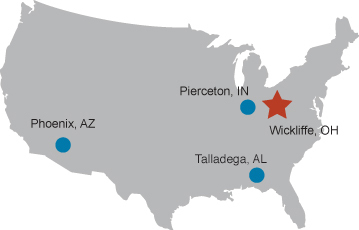 OMCO established its first manufacturing operation in Arizona in 2009. Within a very short timeframe, a second factory was required. These two locations are primarily dedicated to servicing our west coast customer base, especially those involved in the solar industry. Learn more about OMCO Solar. OMCO’s Weaver & Sons Division was acquired in 2014. It provides high quality fabrication of precision sheet and plate metal components. Learn more at Weaver & Sons website.